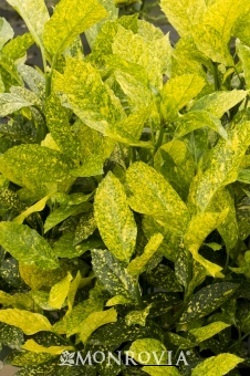 This dwarf form of Aucuba has a dense growth habit with dark green leaves. The female of the selection bear abundant fruit which are born above the evergreen foliage which adds to its winter interest. As a shade lover, this is a good plant to put on the north and east sides of buildings and also to plant in groupings under the canopy of large trees. 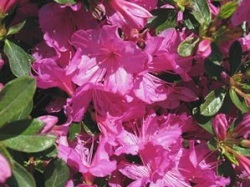 Good for foundation planting, in containers or as a specimen. 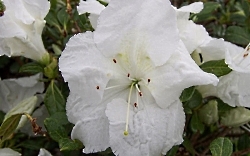 This broadleaf, evergreen azalea displays an abundance of pure white flowers in late spring. 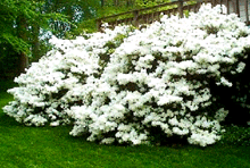 Beautiful foundation plant or flowering hedge. 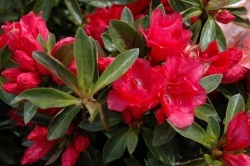 Beautiful, abundant red flowers in the spring on this deciduous, spreading azalea. Perfect for spring containers. Prune immediately after flowering to ensure prolific blooms year after year. 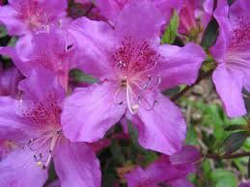 When this azalea blooms in mid-spring, the violet flowers are so profuse the entire plant is blanketed with color. 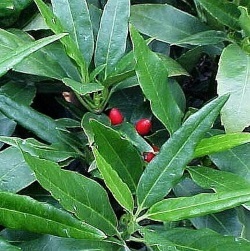 The evergreen leaves are usually small, narrow and pointed. 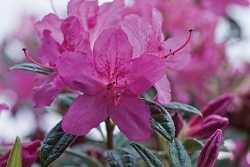 The 'Sherwood Orchid' Azalea is a spreading, compact plant sometimes used as a groundcover. Also perfect for containers. 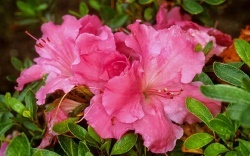 This evergreen azalea is an exceptional choice for foundation plantings and shade beds. A natural under large tree groves on a woodland perimeter. Also perfect in containers or in shady borders. 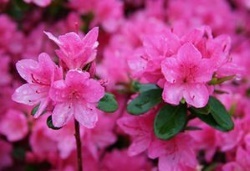 The encore azalea is a beautiful, flowering shrub prized for its 'encore' blooming cycle, once in spring and again in early fall. 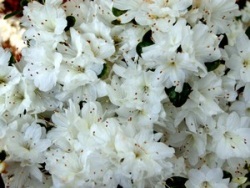 Perfect shrub for a foundation planting, flowering hedge, or in a mass planting.